A really good, fast sailing boat, well equipped with an excellent engine with low hours, would suit a couple, family or a single hander possibly. 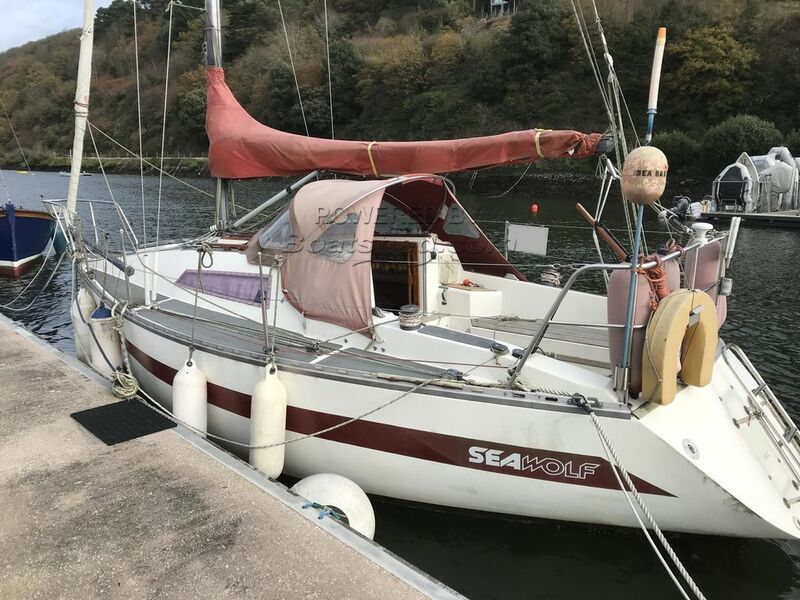 The boat is due her annual lift out and would benefit from a good clean all round, the owner has a newer sail cover and spray hood, which he intends to put on after the winter period. This Sea Wolf 26 has been personally photographed and viewed by Jerry Harper of Boatshed Dartmouth. Click here for contact details.